I take the opposite view. Having been there in the past as part of a participant’s supporting staff – condescendingly referred to by status-conscious attendees as a “sherpa” – I have seen up close how much can be accomplished by a handful of people sitting in a room and talking. As a philosopher and business ethicist, I believe it’s worth remembering some of the history that’s been made in that rarefied Alpine air and why Davos still matters today. It does this by promoting global collaboration, capitalism that includes many stakeholders and public-private cooperation. 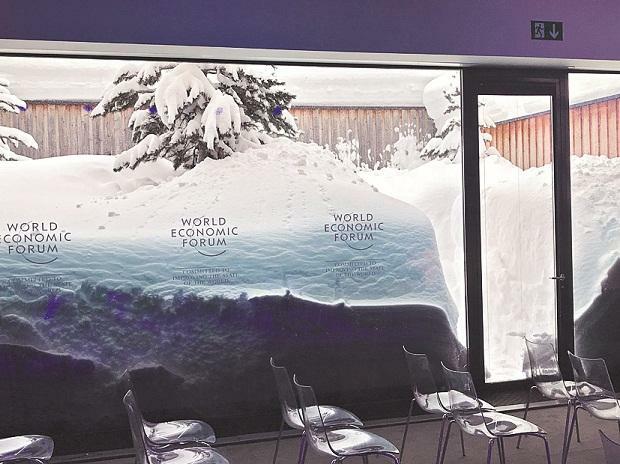 Numerous international agreements and breakthroughs have emerged from Davos. Examples include preventing war between Turkey and Greece in the 1980s and helping resolve the eurozone’s debt crisis in 2012 – the year I was last there. It brought together world leaders as oppositional as South Africa’s Nelson Mandela and F.
W. de Klerk in 1992 and Yasser Arafat and Shimon Peres in 1994 and 2001. But Davos doesn’t need to make a breakthrough in an ancient conflict to be effective. Its theme this year, “Globalization 4.0,” served as an important rebuke to the nationalists emerging in the world today who have shown a disdain for multilateralism and a preference for confrontation over cooperation. And in fact, most of the sessions focused, as I believe they should, on finding cooperative ways to solve the world’s pressing problems. And the world has many to deal with, from worsening economic inequality and climate change to the growing scarcity of water. All were discussed at Davos this year. Were any breakthroughs made? Maybe not. Davos cannot realistically be expected to solve the world’s problems in less than a week each year. But despite its elite reputation, I believe it helps direct attention toward actually making the world better for everyone – and not just the elites in the audience.